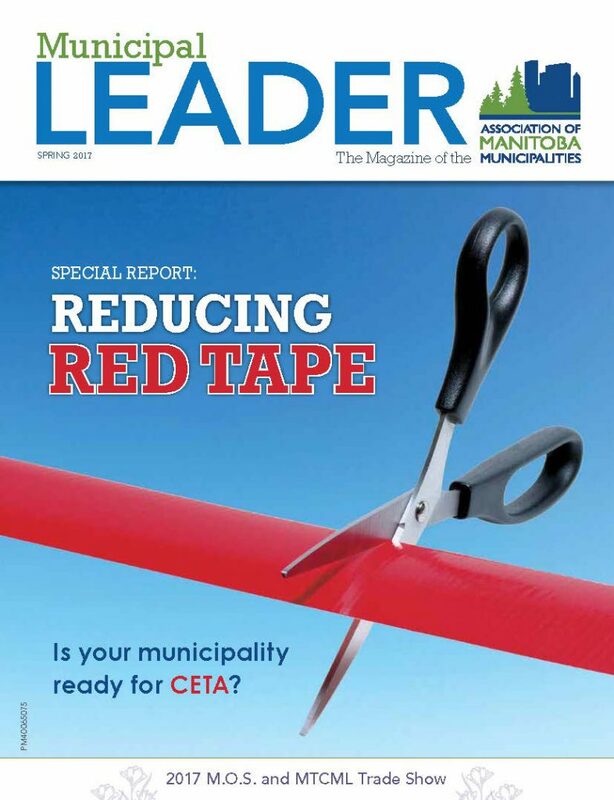 Last December, the Province of Manitoba announced a Red Tape Reduction Task Force to identify excess regulation and unnecessary red tape to improve the delivery and availability of public services. The AMM welcomed this announcement and surveyed our members to identify the red tape barriers and inefficiencies they have experienced. That story and several others are featured in our Special Report on ‘Reducing Red Tape’. This issue also contains a variety of interesting submissions, from what the new Canada/European Union Free Trade Agreement means for municipalities, to how Citizens on Patrol has helped keep communities safe for 25 years, to the benefits of heat recovery in recreation facilities, to LEAD generation to – believe it or not – a look at the new political era in the U.S. Being the ‘Spring’ issue, we also preview our upcoming Municipal Officials Seminar and MTCML Tradeshow. From agendas, to keynote speakers, to displayers and sponsors we’ve got all the details. See you there!